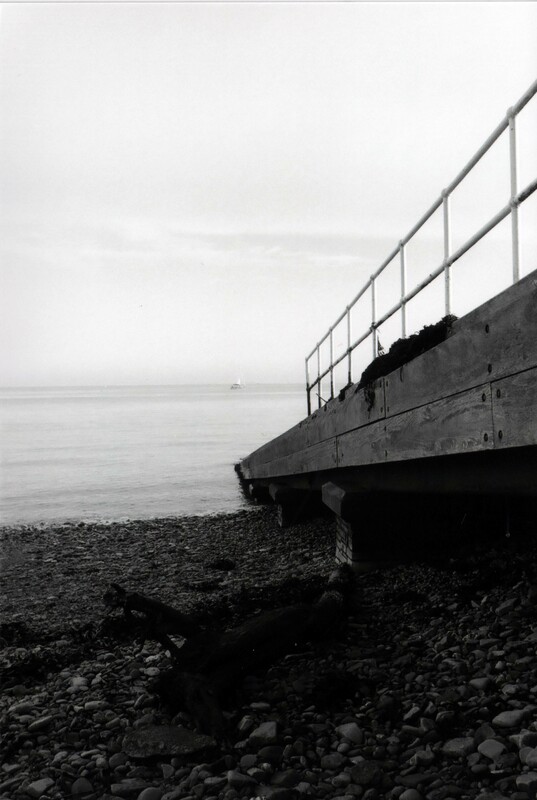 Taken on my Nikon FM with 28mm lens on Ilford FP4 125 ISO monochrome film, this is the lifeboat launch at the beach in Penarth, South Wales. I like the leading lines across this image, especially as taking the shot at portrait rather than landscape has elongated those lines from the top of the image down to the centre, disappearing under the water. I also like the level of detail that has been picked up, with individual pebbles, the bolts in the wood and even the grain of the wood itself showing up, adding texture to the image. I also quite like the tiny boat that can be just made out in the distance out to sea, with the lines of the launch itself forcing your eye towards it.